Essential Oils For Tinnitus: Stop The Incessant Ringing In Your Ears With Essential Oils And Other Natural Treatments! It is one thing to let the soothing notes of a slow song lull you to sleep and a totally different thing to keep the TV blaring in the background as you try to catch your zzz’s. I know some people can sleep right through a noisy carnival or party if they have to. Then, there are others who say that keeping the TV on through the night lets them sleep better, although science would beg to differ and even strongly disapproves of the approach. I, for one, need absolute silence when I want to journey to slumber land. In fact, between brightness and noise, I will take the former if I have no choice but to sleep through it. But, all of us have our own sleep pet peeves, so to speak. And this is not just sleep-specific. I mean there are those who focus better, be it on work or studies, when they have music playing in the background while others are distracted by the sonorous setting. The one common thread here when it comes to music or any other sound input is that we have the liberty to turn it on or off, as we choose. But, what if the sounds are not on the outside but on the inside? What if the pandemonium cannot be turned off? Can you imagine how hellish it can be to live every second of your life with the same sound playing in your ears over and over again? That is what tinnitus is! A maddening auditory chaos that cannot be switched off. Nearly 50 million Americans or 15% of the general population suffers from some form of the condition. About 20 million are living with chronic tinnitus, while 2 million suffer from a severe and debilitating form of the ailment. Yet, modern medicine has no cure for it! The jury is still out on whether the ringing heard by those who suffer from tinnitus is an actual auditory input or just a phantom sound. However, what they do claim to know is that tinnitus is not an ailment in itself but a symptom of an underlying health issue. As far as the symptoms go, there is a lot of variation in the type of sound heard by those who suffer from tinnitus. While some people report a distinct ringing sound (although those can vary as well; from phone bell to church bell), others say that the sound is more a hiss, click or even a whistle. There are also differences in the intensity and the frequency of the sound. Around 20% people, who suffer from the condition, experience a sound that is loud and frequent enough to be debilitating. The best way to describe this would be a phantom sound that does not have clear auditory origins. Simply put, the sound is only heard by the patient and it’s basically an anomaly in the auditory structures or the nerves and not an actual auditory input that causes the sound. 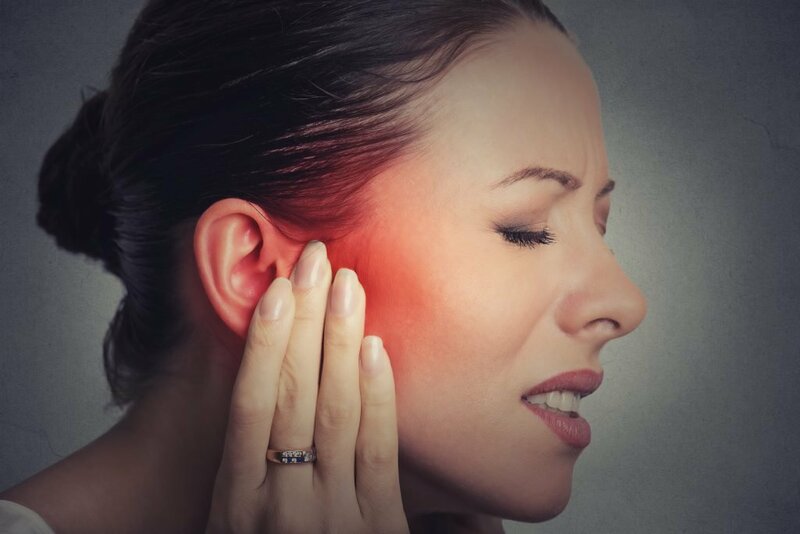 This type of sound is often described as buzzing, rushing or even clicking, and it tends to go along with the heartbeat, indicating that it may have something to do with the flow of blood to the ear canal. A rare form of the condition, this is where even a doctor can sometimes hear the sound, albeit faintly and only after listening for it carefully. Because there is an actual auditory input involved in this case, objective tinnitus is thought to be caused by the involvement of the soft cartilaginous bones, tissue and the ear drums that make up the auditory mechanism. Are You Really Suffering From Tinnitus? The ringing in the ears can be constant, or you may suffer from periodic bouts of tinnitus. You may feel a throbbing in your ears, which may not be painful. The sound and the throbbing may be experienced only in one or both ears. Tinnitus may appear after gradual loss of hearing related to age and occupational exposure to sounds. For most people, tinnitus involves hearing a high pitched and continuous tone. Some individuals may hear a constant buzzing or humming sound. Tinnitus, in itself, is not a serious symptom and it rarely indicates the presence of a dangerous underlying health condition. Although it can cause a lot of distress, tinnitus does not bring along any ear pain or ear discharge of any kind. However, injuries to the neck, ear drums and head can lead to tinnitus, in which case, the ringing will be accompanied by other symptoms. To understand the cause of tinnitus, you will have to learn about how your sense of hearing works. When a sound is made, verbal or otherwise, the sonic waves it creates enter the ear canal. The waves create pressure that impacts the mechanism in the middle and inner ear and eventually moves the tiny hair-like structures (stereocilia) inside the ears. These structures are connected to special cells that release an electrical signal in response to the movement of the stereocilia. The signals/impulses travel through the auditory nerve to the center of your brain that interprets them as sounds. If these hair-like structures inside your inner ear are broken, bent out of shape or die or if the cells they connect to get damaged or die, or if the auditory nerve or any other nerve that is connected to it develops any type of problem or gets damaged, you may experience hearing loss as well as tinnitus. In essence, the ringing is caused by the abnormal behavior of the hair cells inside the ears. For instance, when these hair-like structures are bent or broken, they start leaking random electrical signals, even when there is no stimulation available in the form of sonic waves. Experts believe that this irregularity leads to tinnitus, although the precise cause of the symptom remains a mystery. So, the problem can be linked to a range of health and other factors. Like the other organs in your body, aging weakens, damages and even kills the auditory neurons and the hair that connect to them. Presbycusis, as the condition is called, is a classic case of wear and tear due to overuse. This type of hearing loss and the tinnitus that accompanies it are usually experienced around the age of 60 years. Noise related hearing loss is also a very common cause of tinnitus. Usually, it is attributed to constant exposure to loud noises such as those made by heavy construction equipment, factory machinery and firearms. But make no mistake; it is not just the jarring industrial sounds that can lead to noise related sound loss. Musicians and those who have a penchant for playing their iPods and MP3 players on full blast are just as much at risk. Any trauma to the neck or the head, particularly to parts connected to or near the ears, the auditory nerves, the auditory center of the brain can lead to tinnitus. In such cases, the ringing is typically heard only in one ear. The sticky, yellow-brown substance is secreted to hydrate and protect the skin inside the ears and the ear canal. It is part of your body’s self-cleansing mechanism. But, when too much wax accumulates in the ear cavity, it can cause irritation and even lead to infection. This, too, can cause tinnitus by damaging the structures of the middle and inner ear. The ringing can also be an early sign of a disorder of the inner ear. Known as Meniere’s disease, the condition is attributed to the abnormal buildup of fluid pressure in the inner ear. Otosclerosis is a condition that causes the stiffening of the bony structures in the middle ear. These are responsible for transmitting sonic energy to the inner ear. So, any abnormal growth or irregular change in their stiffness can impact hearing and lead to tinnitus. Otosclerosis often runs in families. 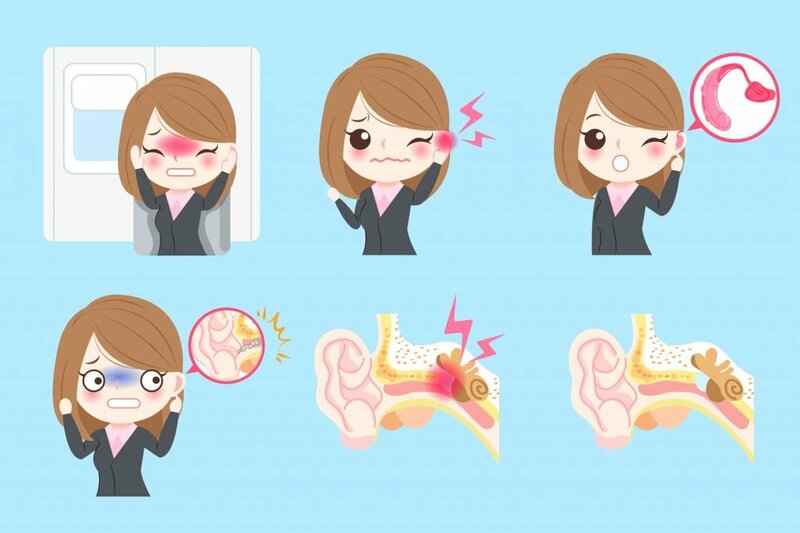 Problems with not just the bones inside the ear cavity but also joints and bones on the outside, which happen to be close to the ear canal, can lead to tinnitus. For instance, any issues with the joint that hinges your lower jaw to your skull (temporomandibular joint; you have two of these on each side of your face) can cause tinnitus. You may generally hear a clicking sound when this is the cause of tinnitus. This is a growth (non-cancerous) on the cranial nerve. Since the cranial nerve connects the inner ear to the brain, any problems with this nerve will create issues with hearing and balance. Usually, this condition will cause ringing only in one ear. Any tumor, whether cancerous or benign, in the neck or head that impacts a blood vessel or a major nerve can cause tinnitus, along with other symptoms. Any disorder of the blood vessels, particularly those that serve the ear canal, or run close to it or close to the cranial nerve can lead to tinnitus. For example, atherosclerosis or the buildup of plaque, inside the blood vessels close to the middle or inner ear can create irregular pressure in these blood vessels and cause you to hear a gushing or a beating sound. Ditto for high blood pressure and narrowing of the arteries and veins in the neck. Tinnitus caused by these conditions is generally heard in both ears. In contrast, when the symptom is linked to an abnormal connection between the veins and arteries in the ear, the sound is only heard in one ear. Often tinnitus may make a sudden appearance in your life after you start certain types of medication. These drugs will also make tinnitus more intense or frequent in people who already suffer from it. Common meds that can cause or worsen tinnitus include aspirin, diuretics, antibiotics, quinine, some drugs used in cancer treatment and certain antidepressants. Tinnitus can also be brought on by short term exposure to loud sounds, such as those you would hear at a concert or even in a club. You may also experience a feeling of fullness in your ear along with the ringing and some amount of hearing loss. Usually, all of these symptoms are temporary. However, frequent exposure to such sounds can cause long term and irreversible damage and tinnitus. That said, men are more likely to suffer from tinnitus, as are smokers. How Will Your Doctor Treat Tinnitus? Like I said, tinnitus in itself is not dangerous although distressing it is! However, it would still make sense to seek medical advice to get the underlying health condition, if any, diagnosed. It is imperative to at least rule out life threatening conditions like atherosclerosis and tumors. So, do seek medical advice because if your tinnitus is based on an underlying health condition, the only way to remedy it is to treat the health problem that is causing it. Once underlying health issues are either handled or ruled out, tinnitus treatment usually follows a specific chronology. It is important to remember here that since they don’t have a defined cause for the condition, they cannot possibly have a defined cure for it. If medication is the cause of tinnitus, your doctor will pull you off of them and prescribe an alternative. Drugs may be used to deal with the tinnitus if it is linked to a nerve dysfunction. In this case, benzodiazepines are the drugs of choice as they suppress nerve function. For tinnitus that is linked to inflammation of the middle ear, corticosteroid injections are often administered into the middle ear. Moreover, prostaglandin analogues are also used in some cases. The corticosteroid injections have fewer side effects, but they are only a temporary solution. In contrast, the other drugs do carry the risk of serious side effects. Although some antidepressants are known to intensify or even cause tinnitus, these meds are generally used to help with the anxiety, depression and irritability that is a part and parcel of the condition. Retraining therapy has emerged as a popular form of treatment for tinnitus and the only one that can be used regardless of the underlying cause of the ringing. Usually, retraining therapy is only used in case of chronic tinnitus. The modality is simple and involves getting the brain habituated to the sound, so that at one point, you simply start ignoring it, hence don’t hear it, unless you specifically concentrate on the sound. Transcranial magnetic stimulation as well as electrical stimulation are still in their infancy, but are known to offer some benefits against tinnitus, at least in certain individuals. However, little is known about the long term effects of this type of treatment. Surgery is considered for tinnitus only when the ringing is caused by bony growths or tumors or malformation of the arteries and veins. However, there is no guarantee that the ringing will subside after the surgery. 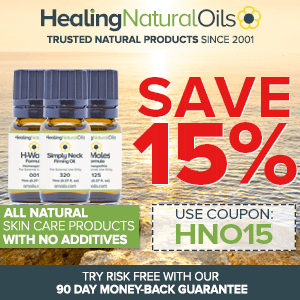 Can Essential Oils Really Help With Tinnitus? The hair cells in the inner ear do not regenerate. However, recent research has revealed that the neurons connected to these hair cells can be protected even when the hair cells get damaged. And, this can help to some extent to reduce hearing loss and treat or at least limit tinnitus. With the right blend of carrier and essential oils, it is possible to soothe the neurons and the hair cells. Also, if your tinnitus is a result of middle or inner ear inflammation or has been brought on by an infection or even wax buildup. These issues can easily be dealt with by using oils. In fact, EOs will help even if the problem arises due to an issue with the supporting or nearby bony structures and tissue. Plus, EOs can also be used to help with the anxiety, stress and depression linked to tinnitus. 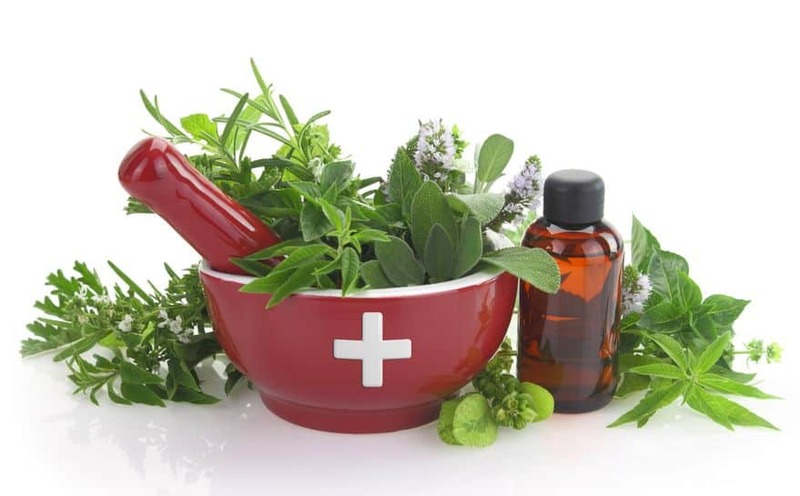 Let me clarify one thing here – neither modern medicine nor any form of naturopathic treatment guarantees a cure for tinnitus, there is ample of anecdotal evidence to support the use of natural remedies, including EOs. So, these oils are definitely worth a shot. To combat tinnitus, we will be using EOs that have anti-inflammatory, healing, soothing and antimicrobial properties. In this list, you will also find oils that are excellent nervine tonics, which can soothe and heal the cranial nerves. For healing and soothing frayed cells, we will use German chamomile, geranium, lavender and helichrysum. For their antimicrobial and anti-inflammatory properties, we will use cinnamon and rosemary EOs. To increase circulation and promote lymphatic drainage, we will use cypress and patchouli. For their antispasmodic and anti-inflammatory abilities, we will use basil and petitgrain. To relieve stress and anxiety, we will use neroli, jasmine, sandalwood, bergamot and ylang ylang. For its ability to relieve discomfort, we will use marjoram. Apart from these, we will also use ashwagandha macerated oil, black seed oil and sesame seed oil. These carrier oils well known for their healing and anti-inflammatory properties. 1. A topical blend to soothe the ringing sound away! Mix the oils and store the blend in an amber glass bottle. To use, take about 4-5 drops and massage on the rims of the ear, including the ear lobe, the soft part right behind the ear lobe and the bony part behind the ear ridge and the sides of the neck. Be gentle and use downward and side way strokes to facilitate the movement of lymphatic fluids. Keep the oil on for 15-30 minutes and wipe it off with a paper towel or you can just leave it be till your next shower. For best results, use this oil twice a day. Premix the oils and store in a dark colored glass bottle, away from heat and sunlight. Get the hot water ready and pour it into a salad bowl till you have it half full. Make sure your hair are tied back. You will be bending your head over the bowl of water with your ear in line of the steam, and you certainly don’t want your hair finding their way into the steaming water. With that done, soak two small balls of cotton wool in the oil blend. Wring lightly, so that there is no oil flowing out. The balls have to be small enough to be placed into the outer ear canal, as you would your headphones. But, also make sure that they are big enough to be removed without the help of tweezers. Insert the oil-soaked cotton balls into your ear canal. Don’t go too deep, you really just want them in the outer ear. Bend your head sideways over the bowl of hot water, leaving about 12-15 inches between your ear and the surface of the water. The aim here is to get the steam to activate/release the molecules in the EOs, so that they waft up and into the ear canal. Hold your head bent for about 2-5 minutes, taking a break in between if required. If you do need a break, straighten your neck but don’t bend it the other way as yet. After the treatment, take out the ball of cotton wool and discard. Now, repeat in the other ear. If the cotton ball does get moist because of the steam, use some soft tissue to wipe the moisture from the outer ear. Two things to remember here; don’t use a Q-tip to clean the ear after the treatment and don’t cover your head with a towel when using the steam. 3. A relaxing inhalation blend that beckons sleep even when tinnitus bothers! Preparation and storage as above. Use 6-8 drops of the blend in your diffuser before bed time. Do not keep the diffuser on while you sleep or all through the night. Instead, use 30-45 minutes before you retire for the night. This way, if for some reason, the aroma does not sit well with you, or it’s too intense for your taste, you can simply air the room for a few minutes. Preparation and storage as above. Use the oil before bed time as you would any hair oil. Massage you scalp and neck with it and do not miss the areas behind your ears, working your way down the sides of your neck. In the morning, take a hot shower and use this treatment 2-3 times a week. The blend is great for your ears, hair and neck and it’s tough on both stress and tinnitus. I know western medicine is totally against putting oil in your ears, but in the East, the practice has been followed for centuries. In fact, they even use this method on babies. In Ayurveda, they have an entire treatment regimen for restoring balance to the body and detoxification that includes using oil in the ears. I have personally tried this type of treatment for ear infection, and it worked marvelously. However, I do recommend that you make sure that there are no perforations or damage to the ear drum before using this treatment. If you have any ear discharge (pus or blood), foul smell emanating from the ear, recent injury to the head or neck that is causing severe pain, consult your doctor to understand the cause of the symptoms and the ringing and only then use this form of treatment. Crush the garlic using the pestle. You don’t need to crush the cloves to a paste, just bruise them enough to break into smaller pieces. Add the garlic pieces to the mustard oil and place on heat. You want the garlic to turn into a burnt brown. Once you get to that stage, take the oil off the heat and filter to remove the pieces of burnt garlic. Wait for the oil to cool and then add a drop of basil EO to it. Mix well and store in a glass bottle. You cannot store this oil for more than 3 days. Discard what you have left and make a fresh batch on the 4th day. To use, warm the oil just a bit. I am talking just 1 degree Celsius above room temperature. The best way to do this is to take about half a teaspoon of the oil in a ladle and hold it over, not inside, hot water. What you feel as warmth on the skin of your fingers will without a doubt be very hot inside the ears. So, it should be just a wee bit over room temperature. If you are not comfortable with the whole warming business, use the oil at room temperature because it is better to err on the side of caution here. Put two drops of the oil in one ear first. You will have to sleep on your side to do this. You will experience a fullness in the ear as the oil gets to the middle ear; this is normal. Let the healing ingredients in the oil work on your ear for about 10 minutes. Then, roll on to your other side, covering your ear with a paper towel. The oil will drop onto the paper towel. Wipe the outside of the ear canal gently using some soft tissue paper. Repeat in the other ear. For best results, use the oil at least once a day; twice would be better. The smell may stop you from using it in the morning. But, using it before bedtime will work too. Anti-inflammatory and adaptogenic herbs like Gingko biloba and ashwagandha or Indian ginseng help to improve the health of the circulatory system and can be used to tackle tinnitus related to blood vessel/flow irregularities. 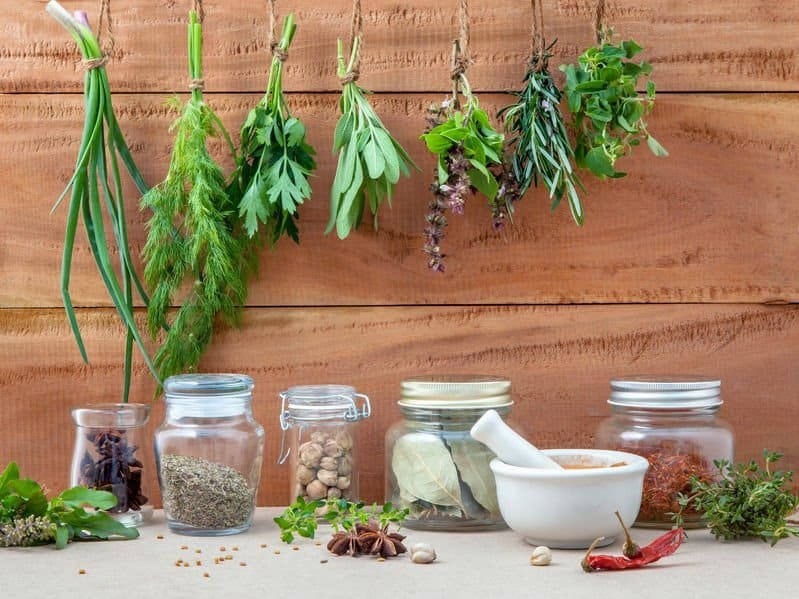 Because these herbs enhance the flow and the availability of blood to all parts of the body, including the ears, they improve the functioning of all parts of the auditory mechanism and may aid in treating tinnitus. For Gingko, the recommended dosage is 120-240 mg/day and for ashwagandha, it’s 300 mg per day with a glass of warm milk (plant or dairy). 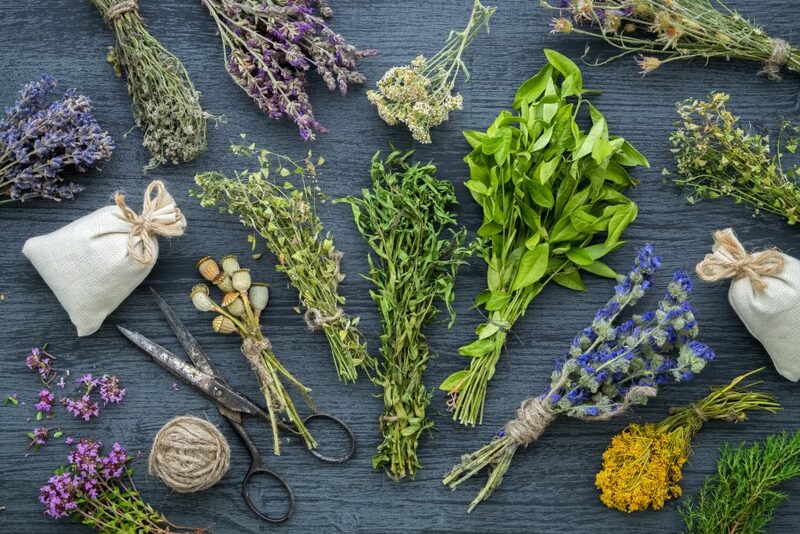 However, you should get the “all-clear” from your doctor before using these herbs as they impact blood sugar levels, blood pressure and heart rate and may interact with certain drugs. Caffeinated beverages and high intake of salt and sugar will worsen your tinnitus, whatever the underlying cause. So, kick your vices in favor of healthy habits like infusion teas and nutrient dense fruits and veggies. Particularly, pumpkin and pineapple help with tinnitus owing to their high content of vitamin A, which is necessary to maintain the health of the inner ear. Also, zinc rich food items are known to help immensely to bring down the inflammation in the body. Use these to heal your ear problems and send tinnitus packing out of your life. Quit smoking because it can greatly increase the risk of suffering from tinnitus and if you are already battling the ringing, tobacco smoke will only make it worse. Ditto for alcohol; limit your intake of booze. Stress is both a cause and effect of tinnitus and few things work as well as a workout to deal with stress, depression and anxiety. However, because your blood pressure and heart rate also play a role in the tinnitus equation and the symptom enters your life in your 7th decade, stick to light to moderate exercises instead of vigorous routines. Walking and yoga are truly wonder drugs that can keep both your mind and body healthy. All you need is 30 minutes of workout/day and 5 days/week to keep you healthy. 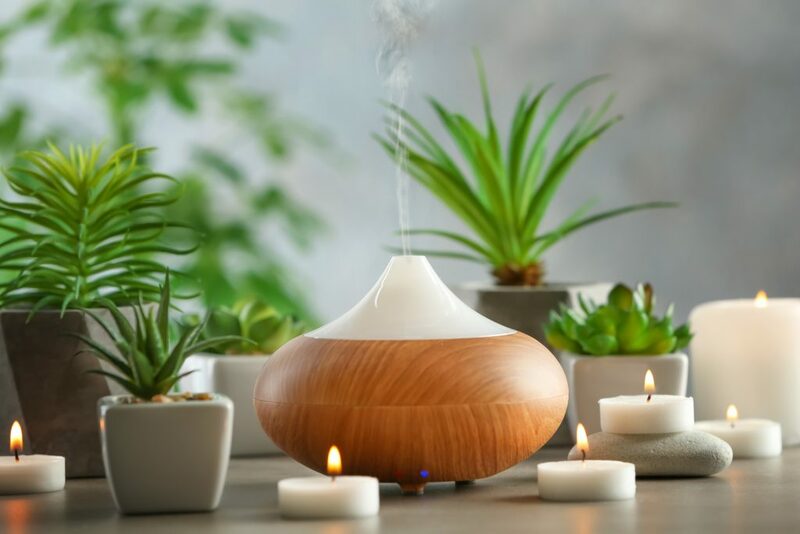 Also, spend some time involving yourself in meditation, Tai Chi, self-hypnosis, progressive muscle relaxation, guided imagery or other relaxation techniques. Often, tinnitus can result from blocked sinuses or even a sinus infection. In both cases, saline irrigation will help immensely. In fact, Ayurveda recommends nasya or nasal irrigation for the treatment of tinnitus. Brew some tea with ginger and sweet basil, and mix about ½ teaspoon of the infusion with a solution made from a cup of warm water and 1 tsp salt. Use this for cleaning out the nasal passage and the sinuses. This is a novel technique that has helped many to deal with tinnitus, although it is not known how exactly it aids to relieve the ringing. As the name suggests, it involves drumming lightly on the head, 2-3 times, every day. Sit or stand with your palms placed on your ears and your fingers touching the base of your skull. Your palms should lightly cover your ears. Your fingers can either touch those of your other hand or be intertwined with them. Use your index finger to make a drumming sound by snapping it against the skull. Use one finger first and then the other. You will need to snap 20-30 times each with both fingers. For best results, do this 2-3 times a day. When tinnitus proves to be too distracting, it helps to mask the ringing with other sounds. You can try soothing music or even the incessant whirring of a table fan. Better yet, try white noises or binaural beats/isochronic tones that can help you to relax. Tinnitus is certainly not a life threatening condition, but it can threaten everything that you value in life. The impact of this pesky condition is all pervading and will infringe on both your personal and professional life. People who suffer from tinnitus also have to contend with sleep problems, memory issues, fatigue, lack of focus and anger. While tinnitus is often considered to be a co-complication of hearing loss and often presumed to be an age related concern, in reality, nearly half of all people who suffer from it, do not have any hearing problems and they are nowhere close to their 60th birthday. Also, tinnitus is a condition that can swing any way. In some patients, the ringing starts and resolves spontaneously while in others it starts and worsens without any discernible cause or reason. Fortunately, it is possible to lower your risk of suffering from the condition by protecting your ears and your auditory sense. Moderation is the key here if you enjoy concerts and listening to music with your headphones on. As long as the volume is controlled, you will be giving your eardrums the respect and consideration they deserve. Also, do not ignore the ringing, even if it is intermittent. Start using the EO blends and the home treatment approaches early on to stop the ringing in its tracks. This sure is one problem that is best nipped in the bud. And on that note, I wish you all a tinnitus free life! 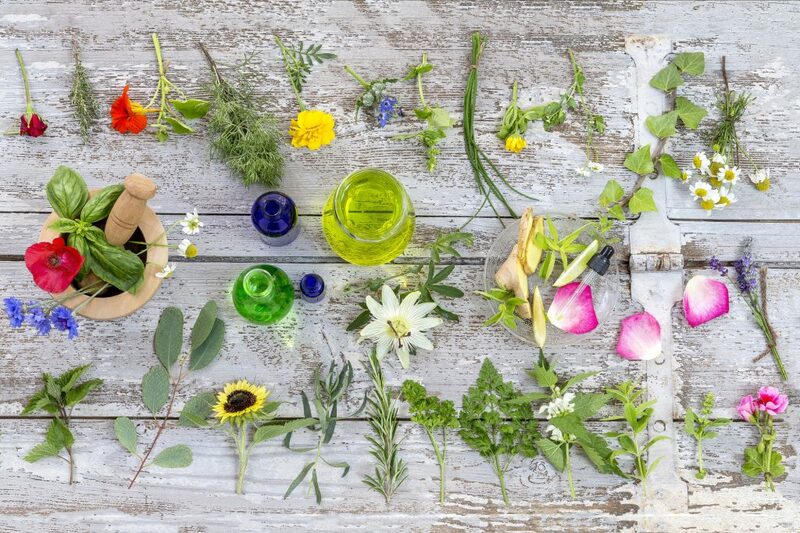 Essential Oils For Vitiligo: When The Natural Skin Pigment Calls It A Day! Is there a blend you can make up for us? You mention using cinnamon EO, which one? You mention Basil EO, which one? Under recipe 2, we are using cinnamon bark oil. Under recipe 5, both sweet and holy basil are mentioned…holy basil is preferred. No unfortunately, I cannot make up a blend for sale. Thanks for the info, Olivia. My brother-in-law has been suffering from Tinnitus for quite a while. He’ll be very interested in this. I have had this Tinnitus for 3-4 yrs now. There is several reasons I could have gotten this. Neck and head injuries for one. Another, wax from a ear candle got into ear canal and ENT was trying to extract it by an ear vacuum . These oils you mention are some expensive oils and would cost me a fortune to buy. Do have any of these blends that one can purchase from you?